Although the thought of attending college is exciting, the cost of going to school is often more than can be easily afforded. Fortunately, there are several options to help with these expenses. Louisiana offers students a host of state grants and scholarships to help get more kids into college. However, these may not be available to all students, and even with these benefits, sometimes additional help is needed. This is when loans can be useful. Be aware that loans must be repaid, and the idea of going into debt to pay for school can be daunting. Therefore, it’s important to review all of your options before pursuing loans, and be aware of what your committing to. Since the late 1980s, the Louisiana Education Loan Authority (LELA) has been a state-sanctioned agency established for the sole purpose of providing state students with the best possible opportunities for college funding. LELA’s mission is to serve the students of Louisiana by providing resources for college planning and statewide outreach initiatives to insure student’s success on their path to and during college. In 2010, Congress passed and the President signed into law a bill that eliminated the Federal Family Education Loans (FFEL) program for all new loans made as of July 1, 2010. All federal student loans have been made under the U.S. Department of Education’s Direct Loan Program (DLP) as of that date. The DLP now handles the Stafford and PLUS loan programs (instead of LELA), and also offers consolidation loans for easier repayment. LELA continues to offer a number of services to the student, graduate and their family, including college planning, finance planning, scholarship and grant information, help with getting a job, repayment options, access to forms and more. Applicants may complete the FAFSA right on the LELA website. Louisiana students like all others often fall short of meeting the actual cost of college. Federal loans, scholarship and grant monies could be supplemented with private student loans. These types of loans are distinctly different from federal loans and therefore should be handled with respect. However, an alternative student loan used wisely can be a useful financial tool for leveraging educational costs. You will only qualify for a loan on your own if you already have credit and it’s in good shape, but the reality is that many students must secure a co-borrower. You may choose a parent, another relative or a good friend, but the important part is that they have good credit. In most cases the better your credit or your co-borrower’s, the better your interest rate on the loan. Private loans are education loans that are not funded by the federal government. Interest rates for private student loans are usually higher than those for federal student loans and are generally not fixed. Private lenders may also charge additional fees such as origination fees, monthly service charges, or late fees. And private lenders may not offer repayment plans that are as flexible as those offered for federal student loans, such as income-based or extended payment plans. Always compare alternative loan lenders carefully and ask questions. Graduates fresh out of college typically have a grace period of 6 months before their loan payments kick in for federal loans, but not usually so for private. Private or alternative loans may become due as soon as they are disbursed, but some lenders offer deferments For this reason, many options are being made available to make loan repayment smoother and less painful. Consolidation loans and other repayment options are available through the Direct Loan program. Don’t let loans default; consolidation is easy, affordable, and can save your credit for the future. Alternative loans are similar—some lenders make private loan consolidation products a part of their regular loan arsenal. Nurses and teachers have special loans available in most states. LELA offers Help Teachers and Help Nurses loans. These products let qualified professionals apply for Stafford Loan interest waivers. Loans come packaged with zero interest. 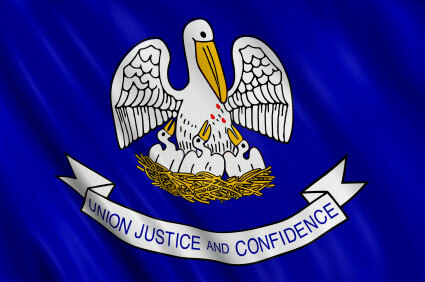 For more information on Louisiana student loans visit the LELA website.